Just add boiled water. Roast 4. Proper coffee made easy. 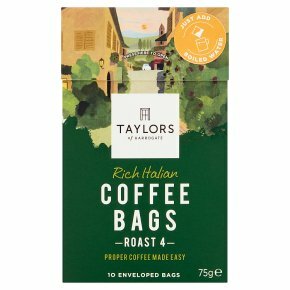 Rich Italian Coffee Bags Our clever individually-wrapped bags lets this elegant, Italian-inspired blend of African and Latin America group coffee brew perfectly in your cup.